Just Simply… Cuisine changes the way we eat through hands-on and distance learning about sourcing, cooking and eating real food close to home. We are a cooking school, kitchen, eat place, edible garden, recipe platform and source network whose main product is seasonal home cooking classes. Just Simply… Cuisine also offer a range of activities designed to engage communities and provide information on healthy, eco-friendly, sustainable, and affordable food by teaching content related to “eating with intention” and sourcing locally. Due to high demand and a strong commitment to reach more people, Just Simply… Cuisine is actively growing and spreading our mission. We currently seek energetic entrepreneurs to replicate our business model in new locations. A brief explanation about your background and experience with cooking fresh, local, seasonal and REAL ingredients. We confirm receipt of your information and schedule a meeting to answer initial questions. We also give you a brief description of the costs involved with becoming a Just Simply… Cuisine affiliate as well as the services provided under our contract agreement. We then explain our non-disclosure agreement (NDA) and send you the NDA of which you sign and return to us. Just Simply… Cuisine’s NDA protects our business model, revenue and distribution channels, concepts and ideas, financials, and other privileged information from being used without our permission. Once we receive your signed NDA, we schedule a 2nd meeting to give you more detailed information about the process of becoming a Just Simply… Cuisine affiliate. We proceed to the contract phase. Our contract includes detailed information about: timeline; costs; payment schedule; services rendered; collateral and other materials provided; legal name, trademark, jurisdiction of the business; corporate rules, regulations and guidelines; and revenue, financial, staffing, expenses, and profit information. Once the final contract is negotiated and signed, the process of starting your Just Simply… Cuisine business begins. You come to our place of origin Just Simply… Cuisine DC to actively observe us in operation. Then… we come to your community and work with you to build your affiliate with Just Simply… Cuisine. This includes providing promotional, collateral, and other business materials; supporting the launch of your web site; brand and exposure under the Just Simply…. Cuisine parent company; public relations and marketing strategies; and, assessment of your needs on an ongoing basis in order for you to be successful. 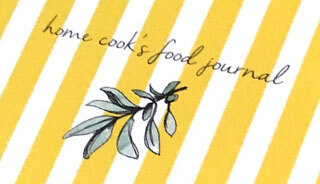 Joining Just Simply… Cuisine as an affiliate involves dedication and commitment of time, energy, passion and skill. If you believe you have what it takes to continue the process, please email or call us.